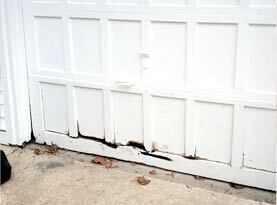 If your garage door is malfunctioning it may be time to call the professionals at Superior Garage Door repair. If you are using your garage door opener and the door will not open you can try lifting your garage door in manual mode, if the door falls to the ground your springs may be worn out. Far too often we keep pushing the garage door button only to find out that we are overworking and stressing the gears in the process. Our experienced technicians will arrive promptly with quality replacement parts and have your garage door opening and closing properly in next to no time. There are many components that make a garage door work correctly and efficiently including garage door torsion springs, drums, bearing plates, hinges and cables. Typically when a cable starts to wear out it starts to fray. Take a close look at your garage door, if one side is a little bit higher that the other side, chances are the cable is starting to go bad. We recommend replacing both cables at the same time. Our technicians will repair or replace the cables and grease the opener to give your garage door the boost it needs to work perfectly when you need it the most. At Superior Garage Door Replacement we use only the highest quality parts made by the best manufacturers in the business. 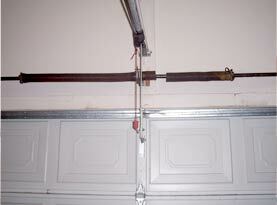 The operation of a garage door is often much more complicated than most people realize. A garage door has many moving parts that must perform in conjunction with each other in order to coordinate and perform efficiently. One of the most common components to fail is the garage door rollers. The garage door rollers are probably one of the simplest components but often one of the first to break and cause multiple problems. If a roller breaks when the door is in use it can be very dangerous. Professional replacement by our experienced technicians is always recommended. There are many types of rollers available on the market, but at Superior Garage Door Repair we use only the highest quality nylon bearing rollers to ensure quality and excellence. 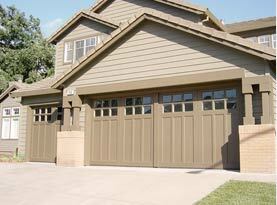 Garage door motors are very complex pieces of equipment that require regular maintenance. 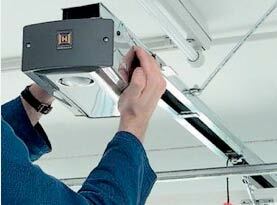 There are many different types of garage door openers on today’s market and are our technicians have the knowledge and experience to maintain and service all makes and models no matter the age of the original installation.